A family of four Siberian tiger cubs has been caught on camera at a nature preserve in the Russian Far East, offering a rare glimpse into the reclusive animals’ family life. The Siberian tiger, also called the Amur tiger, is a protected species in Russia. Thanks to ongoing conservation work, its population in the country's Far East has grown from 330 tigers in 2005 to 562 in 2015. 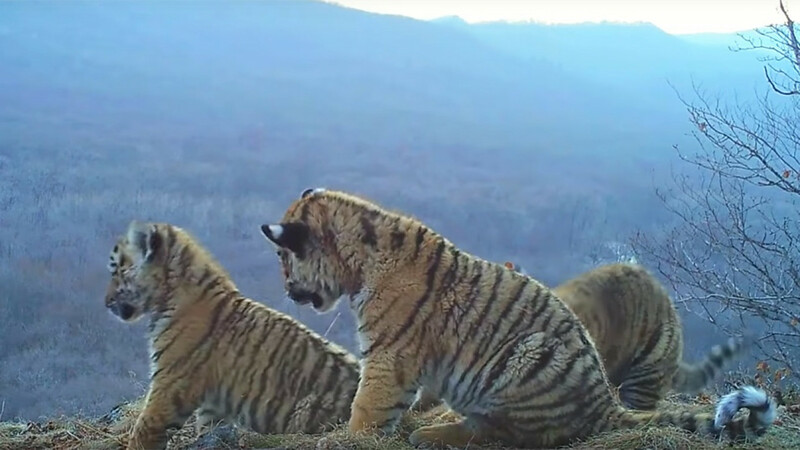 Four cubs are seen nestling next to an adult Siberian tiger and playing on a hilltop in videos published by the Primorye region’s “Leopard Land” national park on Thursday.